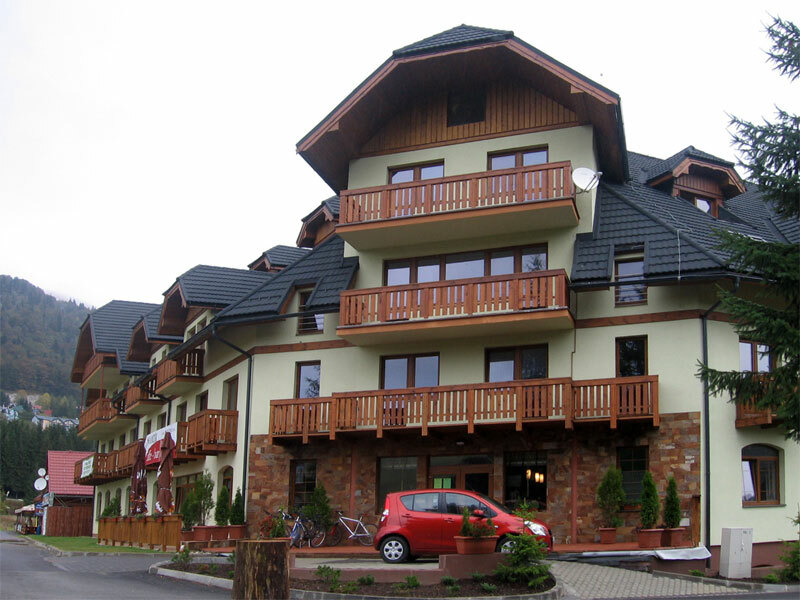 Apartments house Kamzik is visible from the main road. 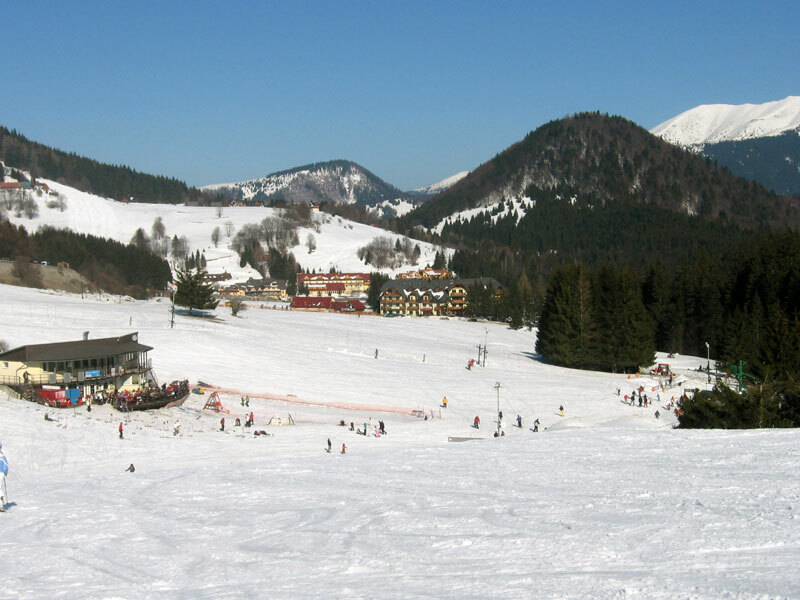 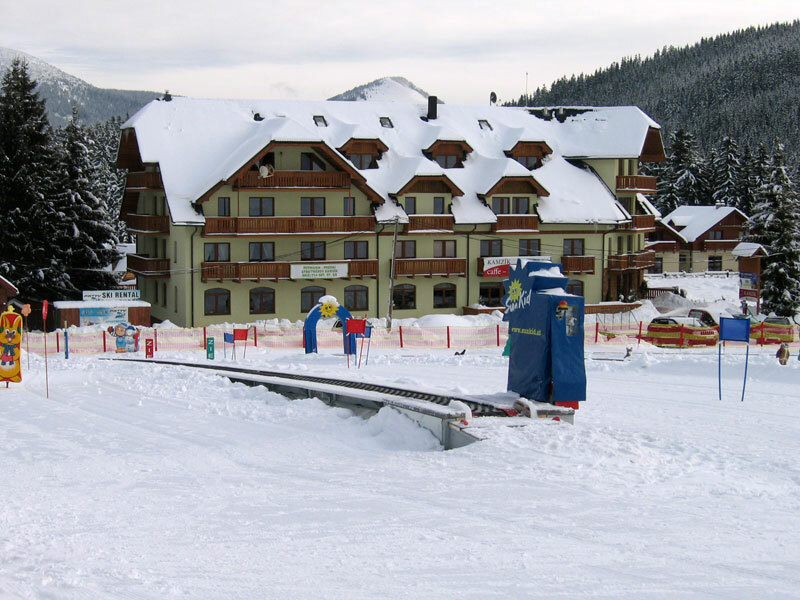 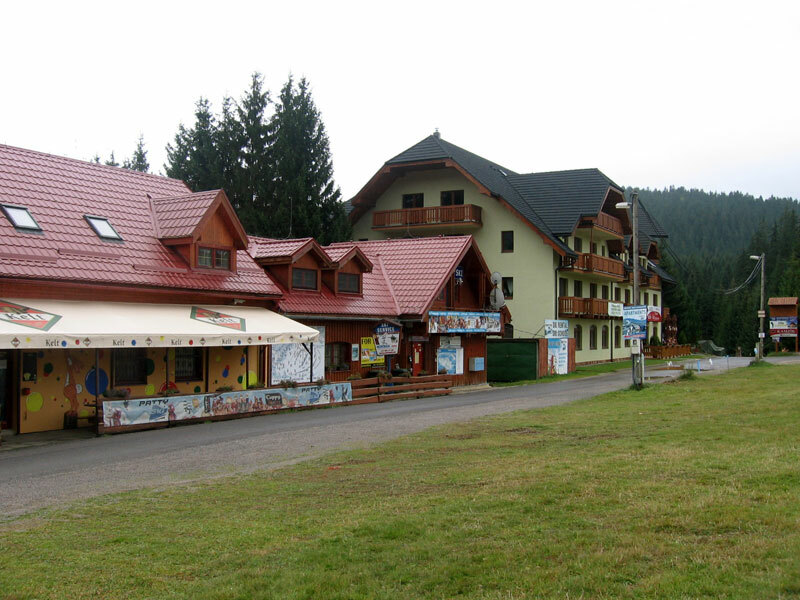 It is situated in well known ski resort Donovaly in the middle of Slovakia. 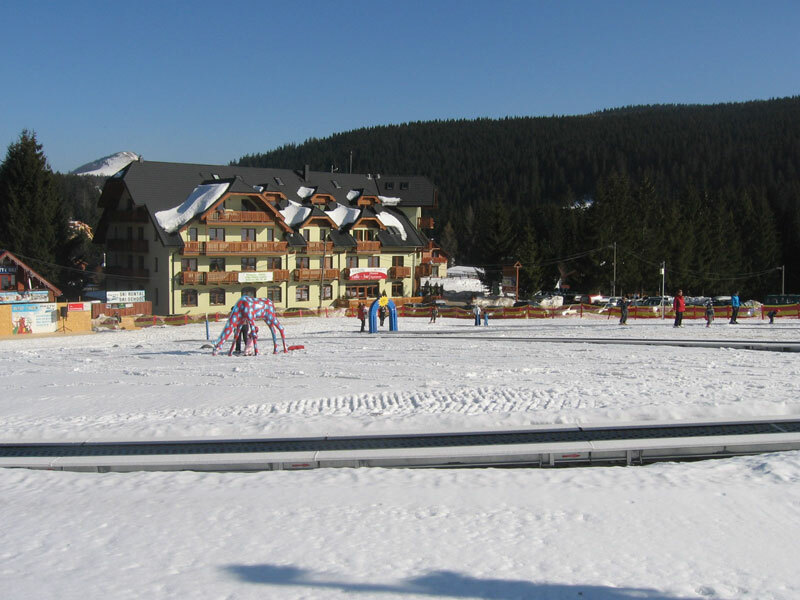 It lies next to the childrens ski school Fun park and the ski slopes in part Zahradiste. 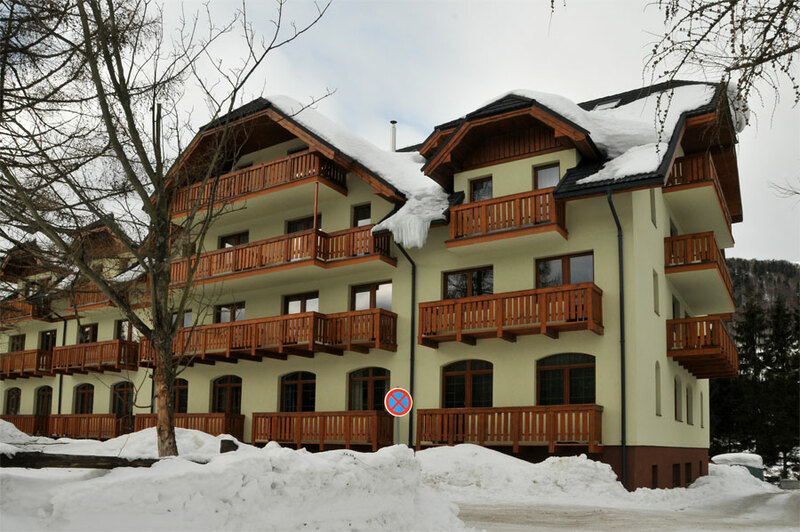 Ski slopes Nova Hola is 300 m.
Accommodation in apartments is especially suitable for families with childrens, who prefer private, comfort and the possibility to live in a flat with own kitchen. 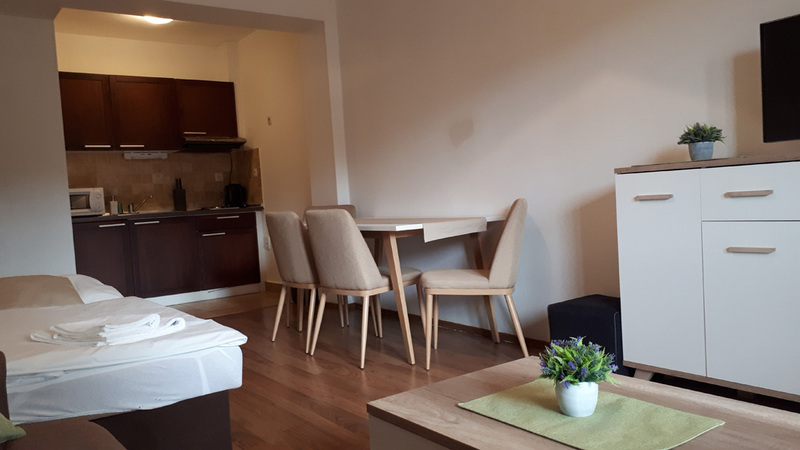 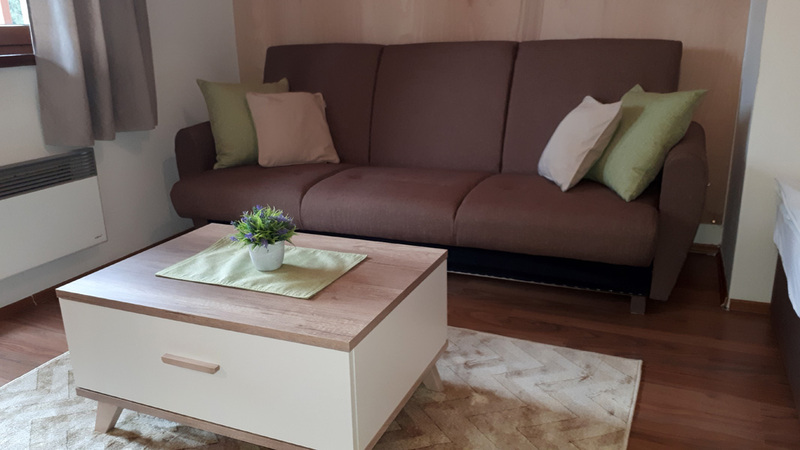 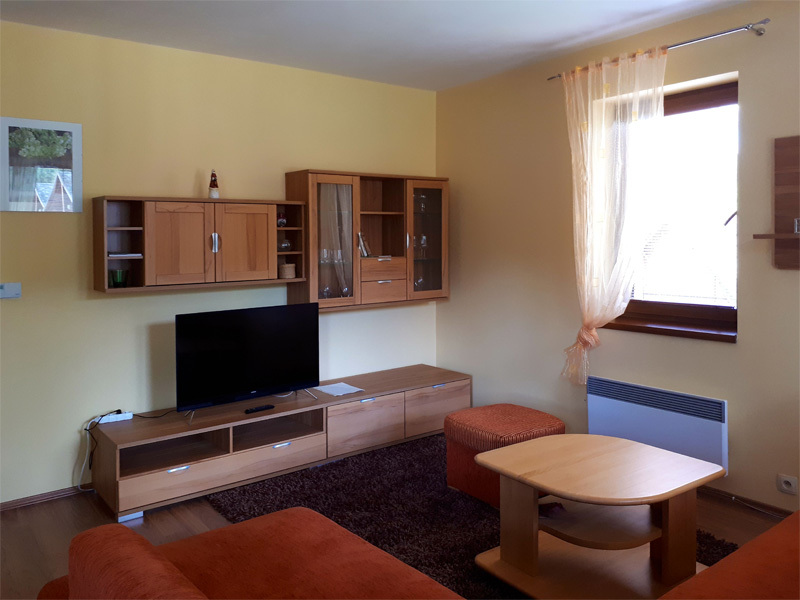 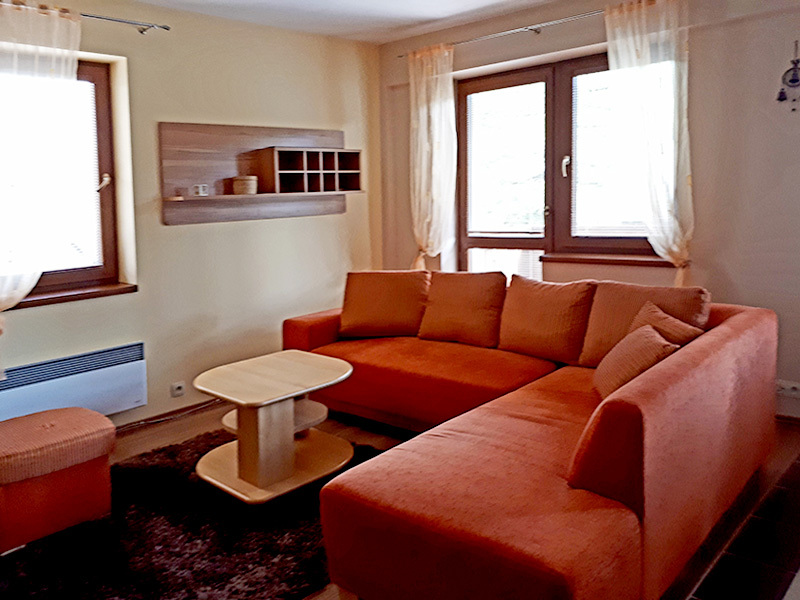 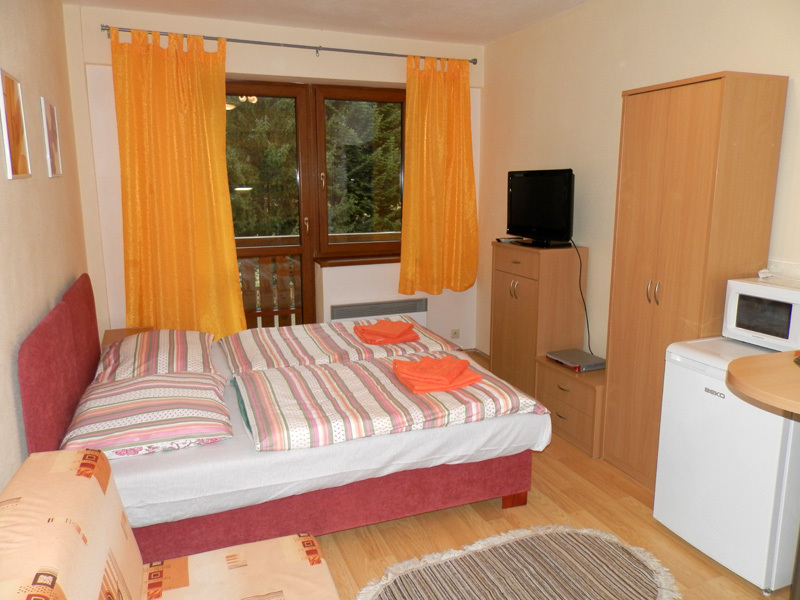 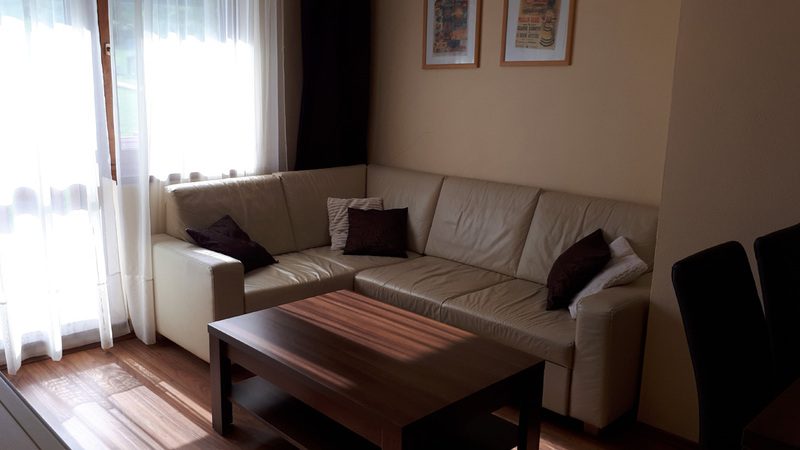 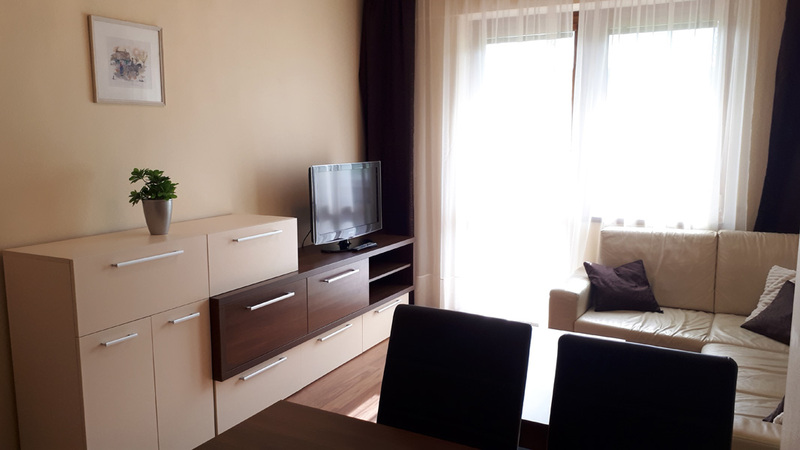 Studio (33 m²) is a one room flat for 2-4 person, with a kitchen unit (electric range, fridge, electric jug, microwave), TV-Sat, WC and bathroom with a shower box. 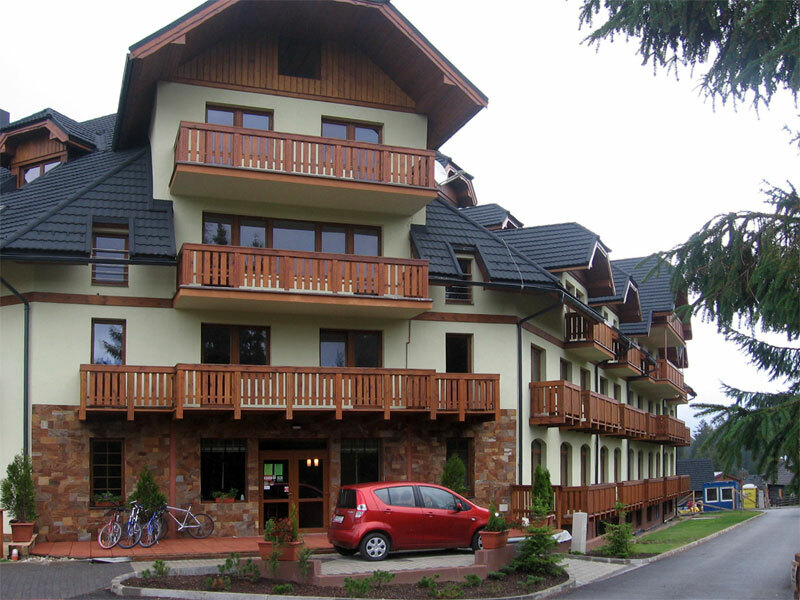 Flats have spacious balcons. 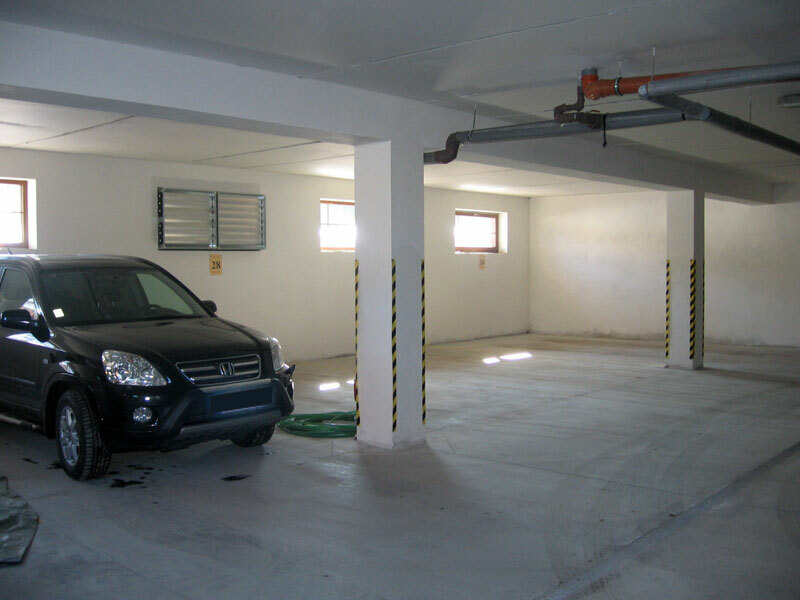 In the basement of the house there is a ski room and a garage. 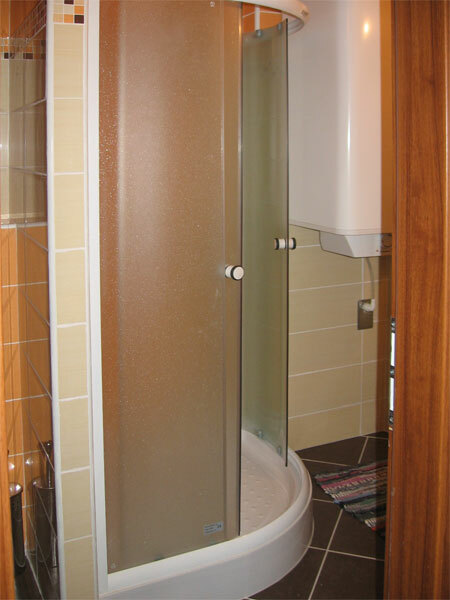 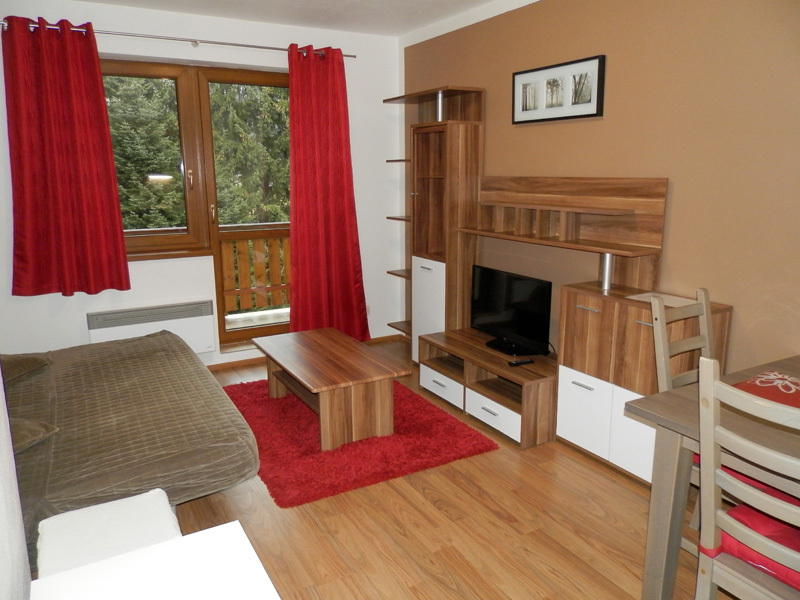 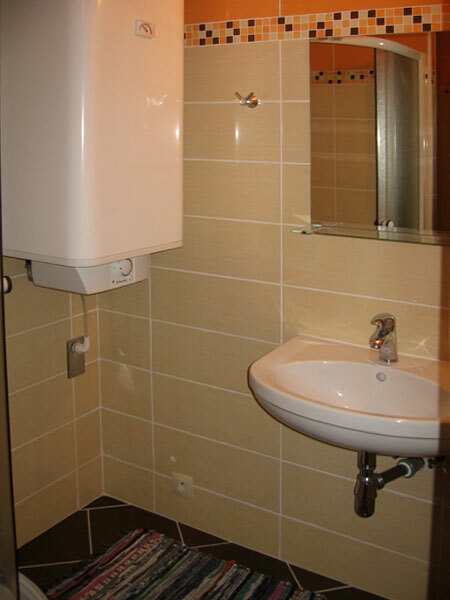 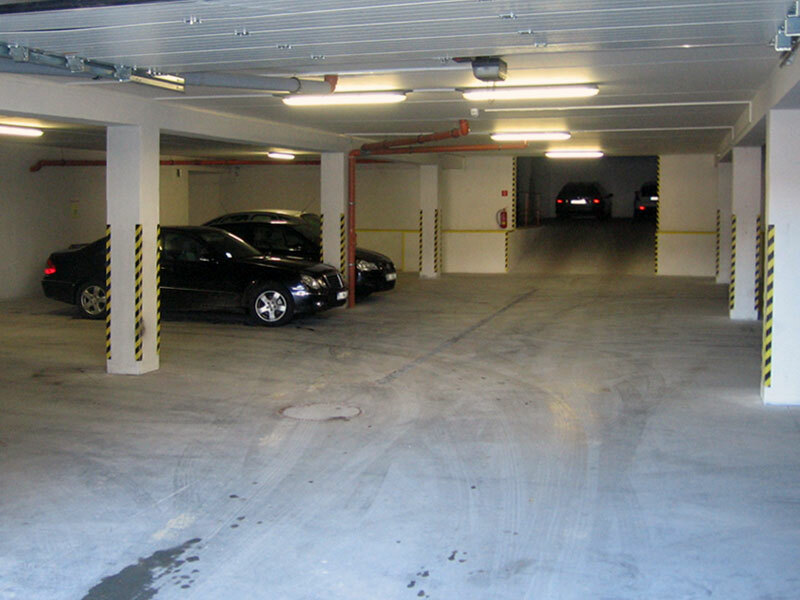 Apartment (45 m²) is two rooms flat for 4-5 persons. 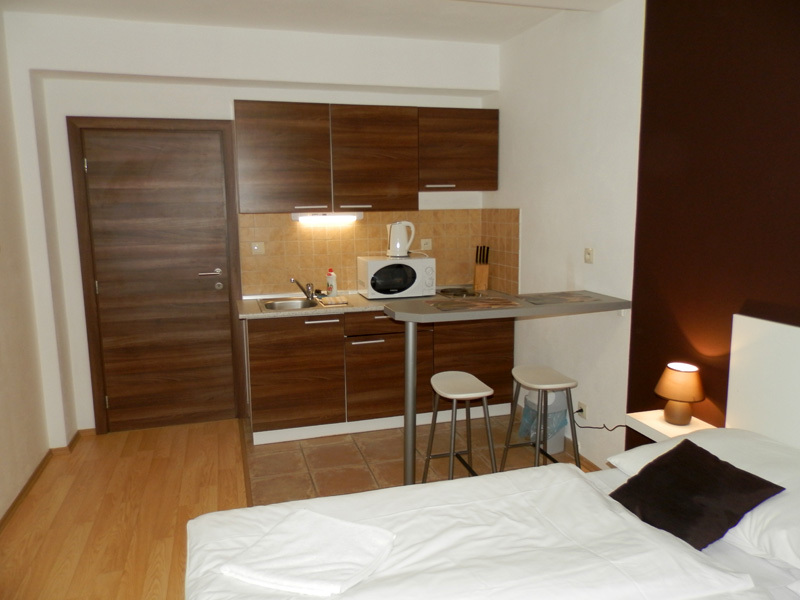 Kitchen has a kitchen unit (electric range, fridge, electric jug, microwave), TV-sat, two beds or leaf couch. 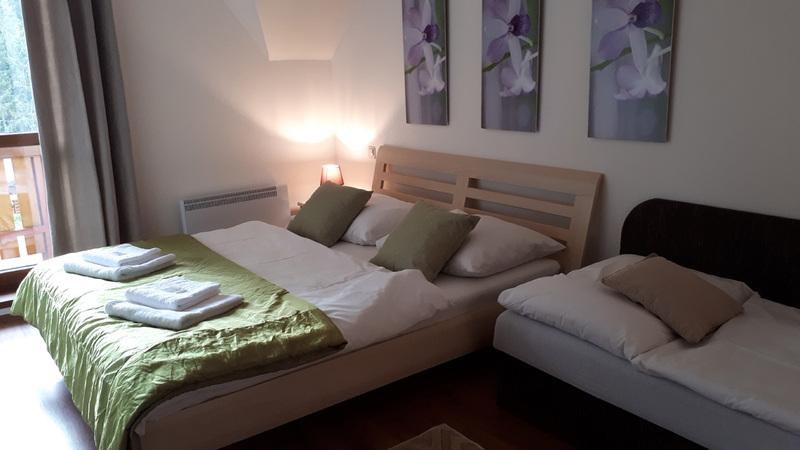 In a bedroom there are 3 beds. 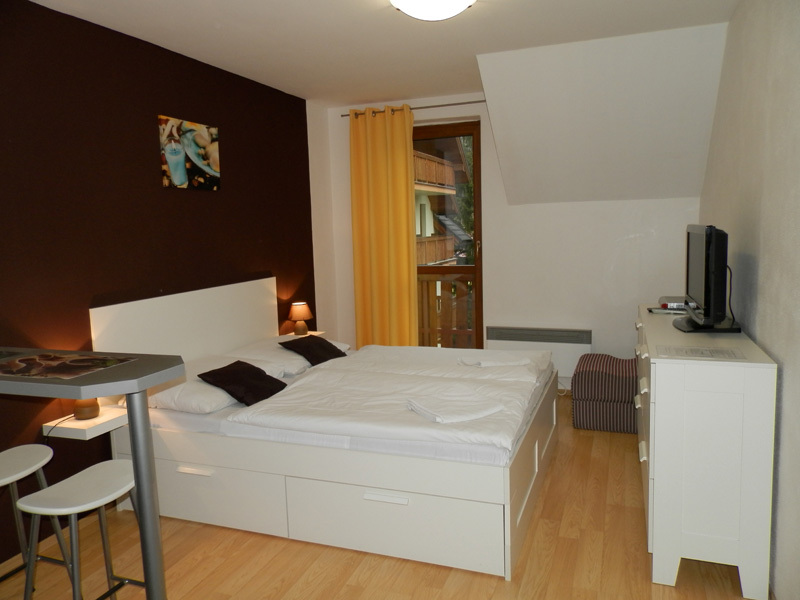 There is possibility to have an extra bed for another person. 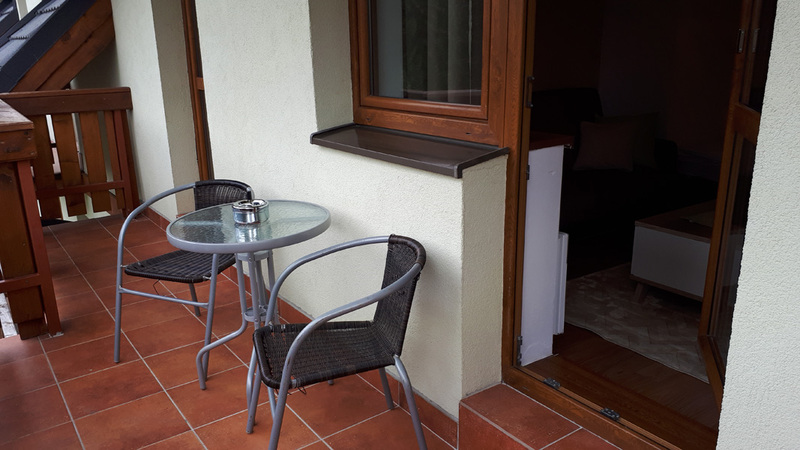 Flats have spacious balcons. 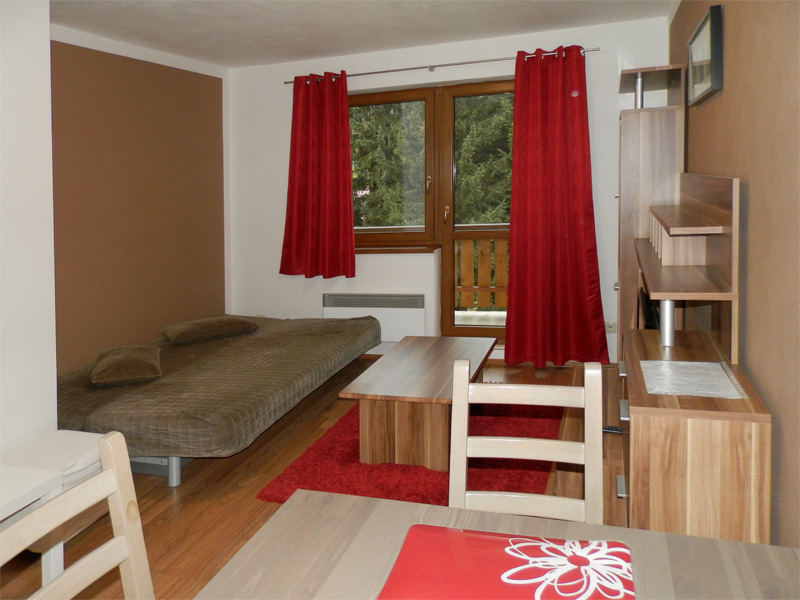 In the basement of the house there is a ski room and a garage.